The release you doubted would ever happen! After much time, Shin Mazinger Zero Vol 2 is finally finished. Sorry, everyone! As you can see, I haven't been really releasing anything of late. 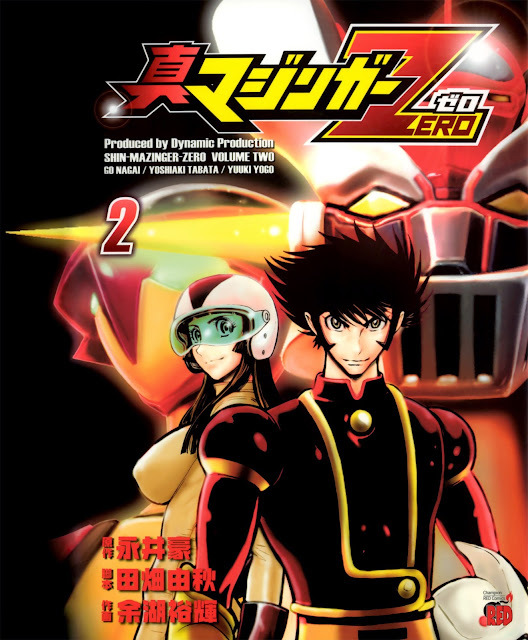 Well, I'm going to try and get back on track by switching over to chapter releases for Shin Mazinger Zero. Hopefully, you should see the beginning of Volume 3 very soon. Finally, I'd like to bring to your attention the efforts of this series' translator - OtherSideofSky! He's been doing a phenomenal job and you'll be seeing much more of his great work. And a huge thanks goes out to BountyHunter who so kindly and expertly scanned this volume, it's real eye candy. Of course, I must also thank our friends over at HappyScans! who never stop bringing excellent manga to English speaking fans. Enjoy Shin Mazinger Zero Volume 2!